Still, Year 6 Shamini Joseph, who has gone for MMM the whole of this week, did notice Mrs Lim, saying: “It’s very nice that she takes the time off to help out; she’s a really patient server.” Councillors Deborah Ong and Cassandra Ang, I/Cs of the event, confirms that Mrs Lim has been serving every day of the past week, alongside the parents from Raffles Parents’ Association (RPA). 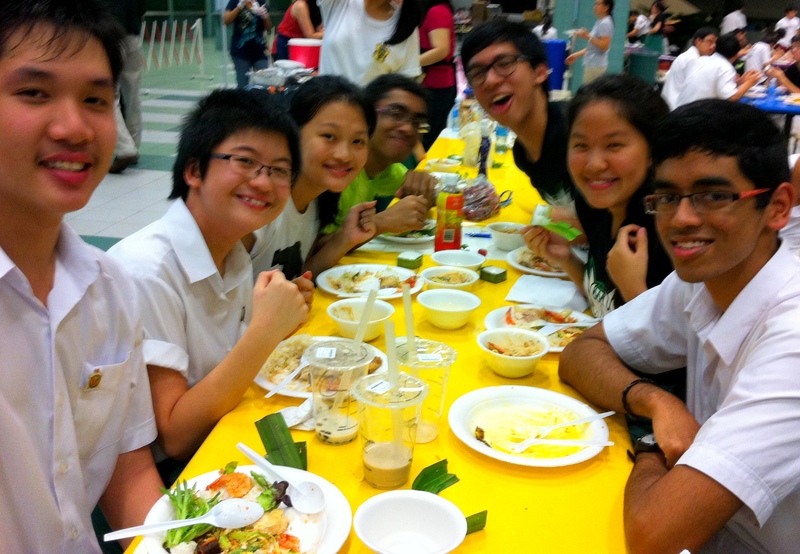 This year is the fifth year of Mega Mugging Madness, organised by the RPA with the help of the Student Council. Held from the 15th to 26th of October, Year 6s get to partake in the banquet for only a dollar every weekday evening at 6.30PM. “We started this because some of the parents realised that many of the kids went hungry with no food in the area, when they studied until quite late. The parents decided to give the kids a good meal two weeks before their A Levels.” explained Mrs Goh Swee Hong, the I/C of the event from RPA. Turnout is usually around 450 (about a third of the cohort), except for Tuesday’s Italian meal, for which over 500 Year 6s turned up. 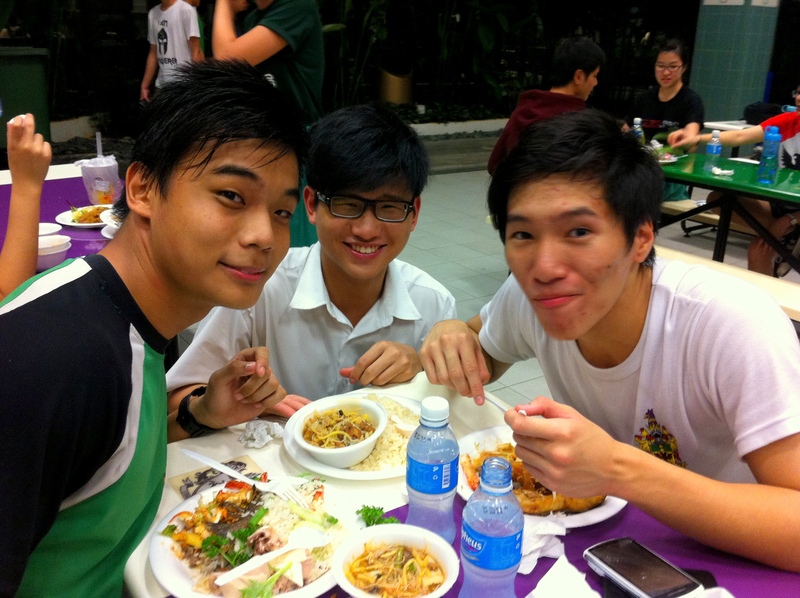 Members of BW House D (2011), who were enjoying their meal together, unanimously agreed that the Italian meal was their favourite. They were also grateful towards the parents, who were “very sporting servers”. 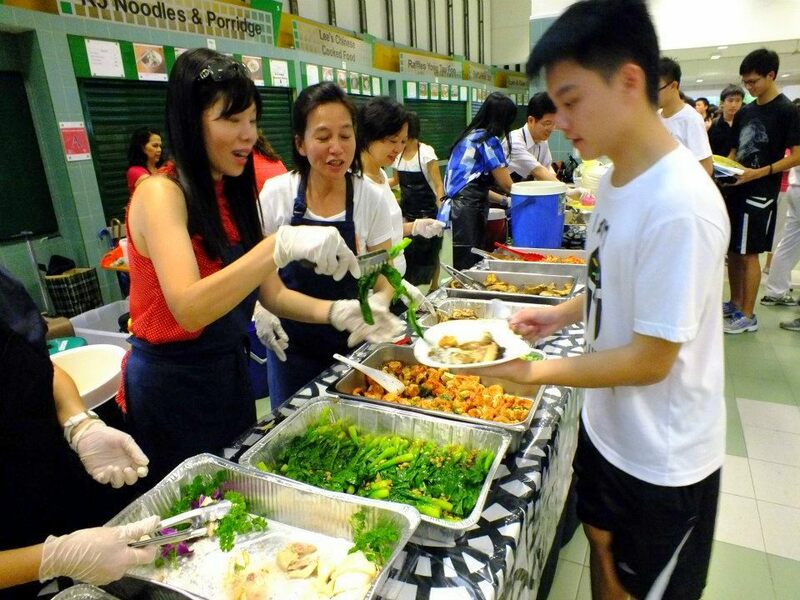 According to Mrs Goh, the parents are mostly those of Year 5s and 6s who register for the event voluntarily. About 70-80% of the food is home-made, while the rest is purchased according to the theme for the evening. The joyous mood of the canteen was not limited to the well-fed Year 6s or the parent volunteers, for a number of Year 5s were enjoying the food after the Year 6s had been served. Year 5 councillors who had helped with the setting up of tables and serving of desserts enjoyed their food in good cheer, as did a handful of Year 5s who had stayed back. Hopefully, the exuberant mood in the canteen has spurred our Year 6s to continue working hard for their upcoming A Level examinations. 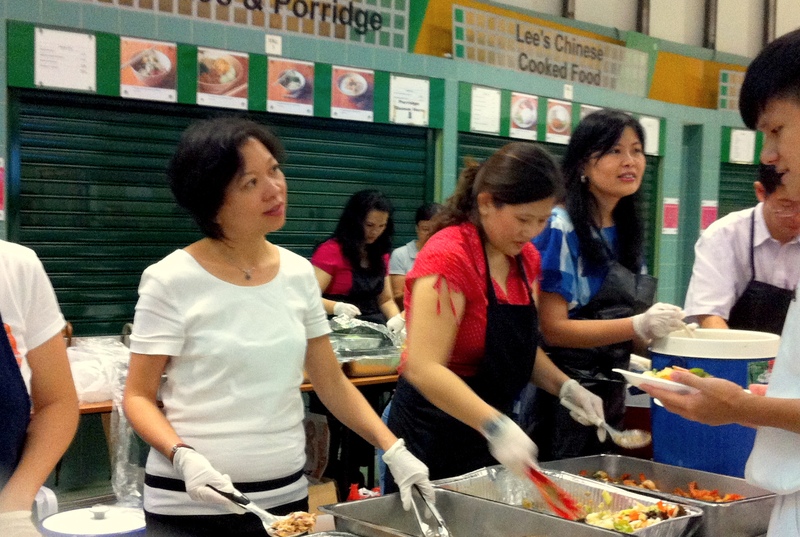 “All the parents here wish that the children will keep up their studying and make their parents proud.” said Mrs Goh, echoing the sentiments of the parents who had given up their time to cook and serve for MMM. 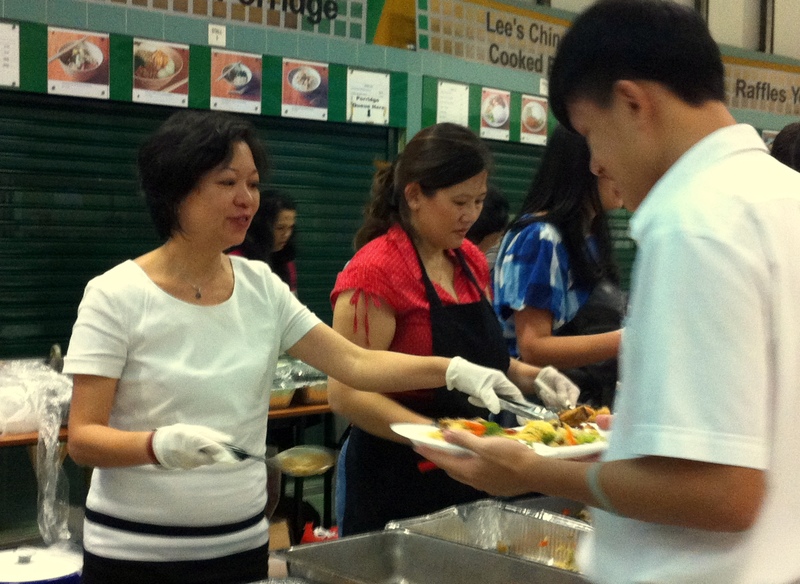 On behalf of the Class of 2012, Raffles Press salutes the many parents who have made MMM a success. We wish all Year 6s the best of luck in the run-up to their A-levels! Year 6s can head down to the canteen booth to register for each day’s MMM. This is the latest instalment in our ilovebooks collaboration: Abigail reflects on the emotional power of Memoirs of an Imaginary Friend by Matthew Green.